His comments earlier drew the ire of 19 ANC veterans, who slammed him for allegedly inciting racism. POLITICAL NEWS - African National Congress (ANC) secretary-general Ace Magushule has told News24 there was “nothing wrong” with his statements on the campaign trail over the past weekend in which he urged a crowd not to vote for “umlungu” (white people). “We can see the DA is losing support. Don’t waste your vote on the white man again. The white man can’t improve the life of a black man,” Magashule told a gathering in the Cape Town township of Phillipi in Zulu. “I have explained that the ANC is a nonracial organisation,” Magashule said in his defence. “There are white progressive democrats who have been voting for the ANC who will continue voting for the ANC. There are many white South Africans who will still vote for the ANC but our main hope is the black vote and there is nothing wrong to say the DA does represent the white interest. It does represent the elite and the privileged,” he continued. He again also doubled down on his controversial decision to hand a supporter R400 after he checked her fridge and found it empty. “I don’t know what is wrong when I find somebody hungry who is a supporter, a veteran and he says to us there is no food in the house. I don’t know whether that is breaking the electoral code,” he said. 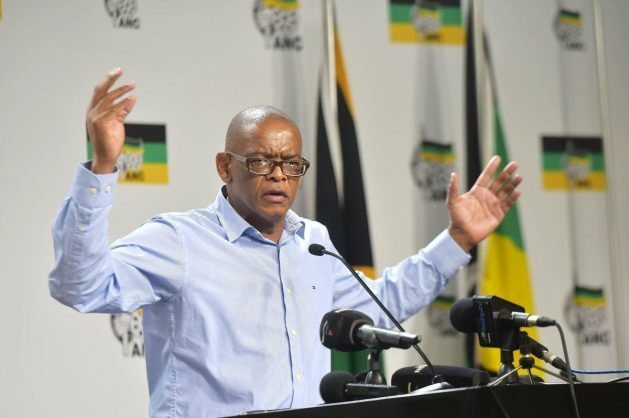 Magashule’s actions led to the DA complaining to the Electoral Commission of South Africa (IEC), accusing the ANC secretary-general of allegedly buying votes. Nineteen ANC veterans released a statement on Monday calling Magashule’s comments “unacceptable”, and accusing him of “inciting ANC supporters to exercise their vote in a racist way”.